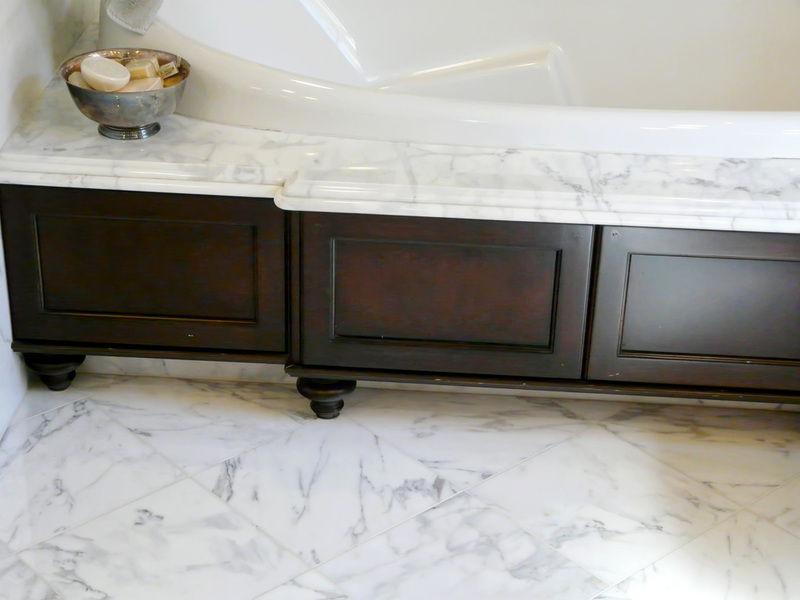 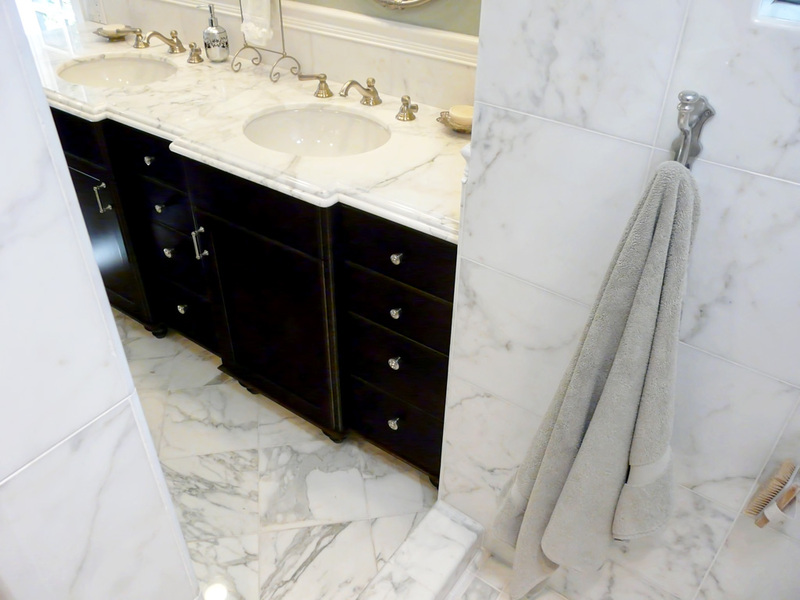 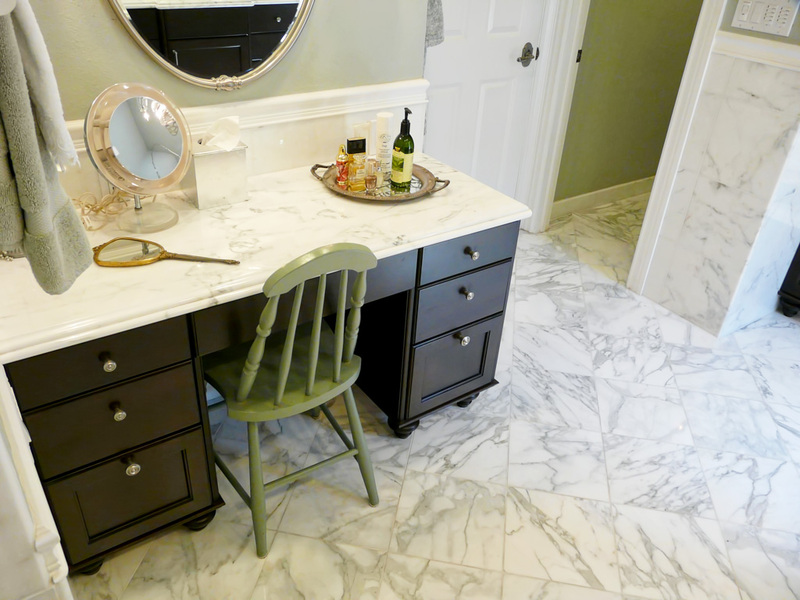 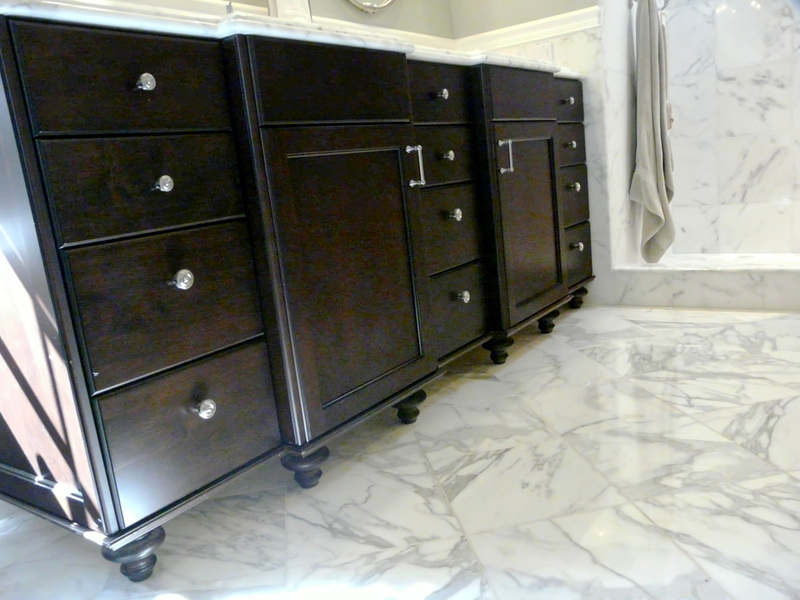 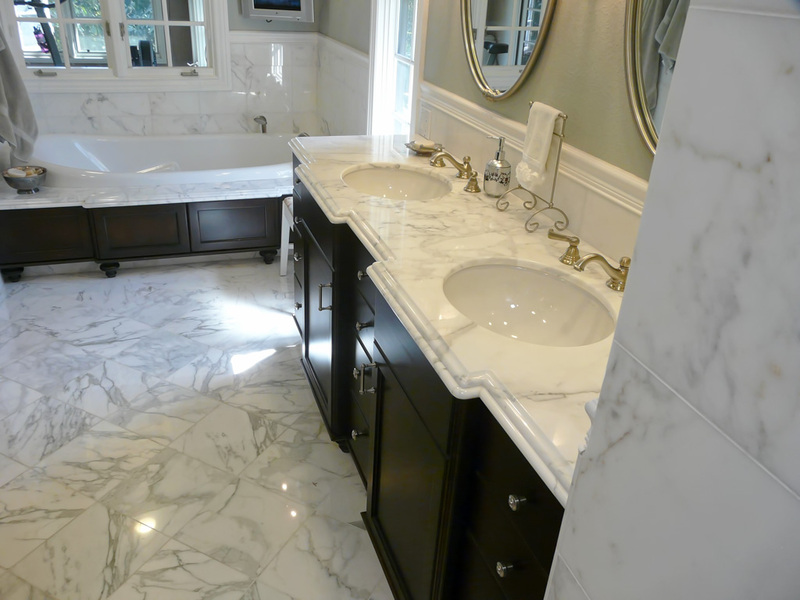 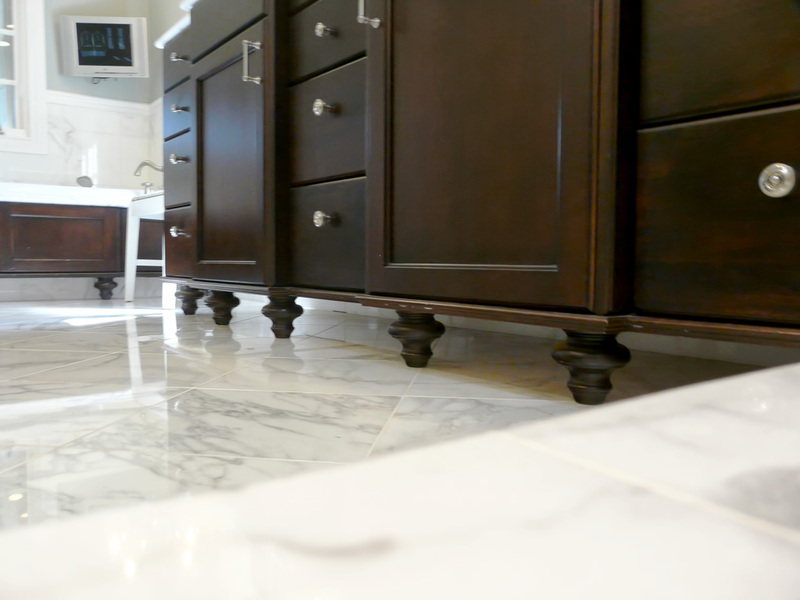 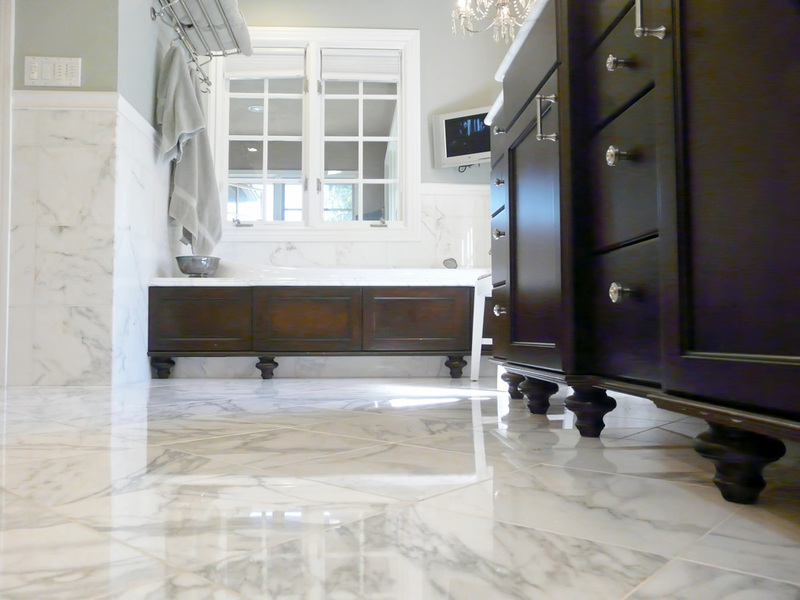 White Carrara Slab counters with detailed combination OG Bullnose edge. 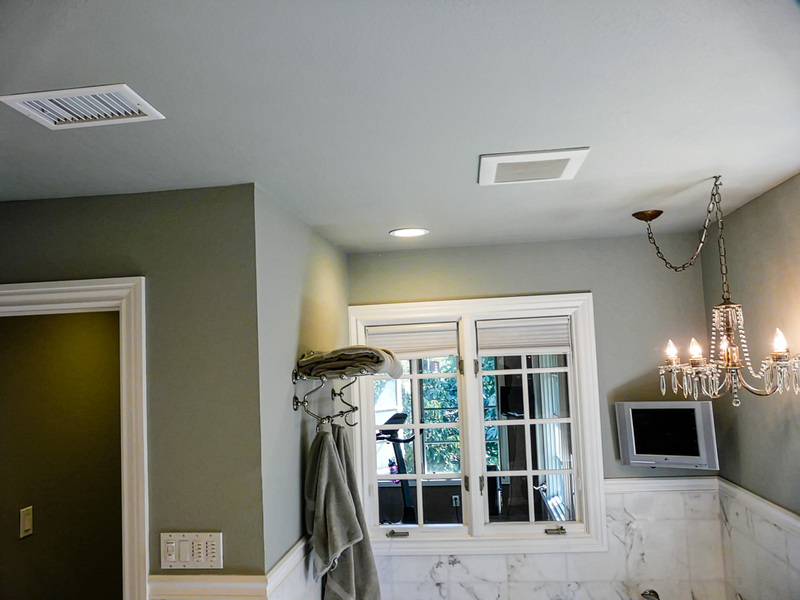 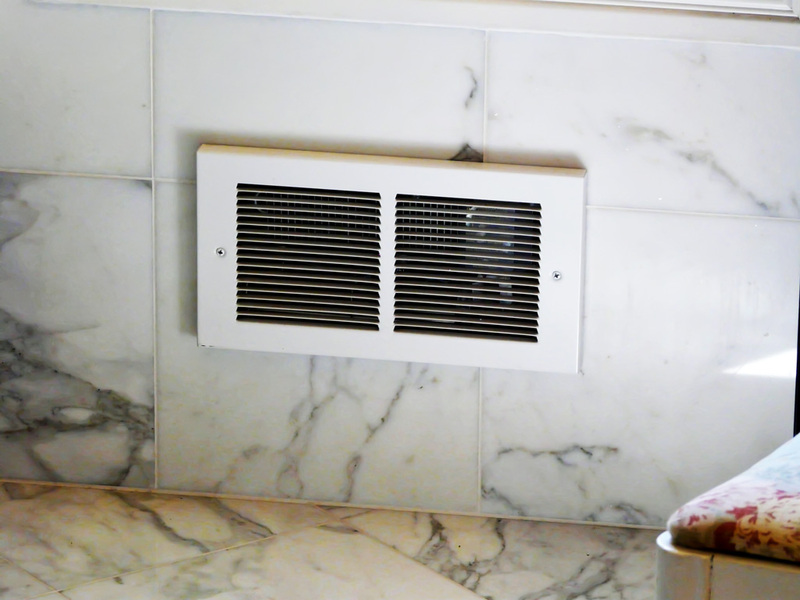 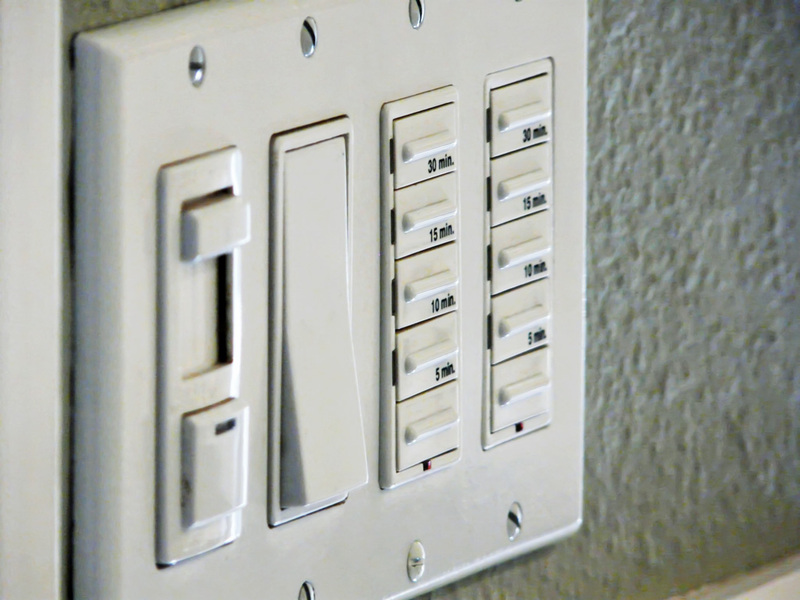 Installed in wall heater with timer control switch to heat the room quickly prior to bathing or shower. 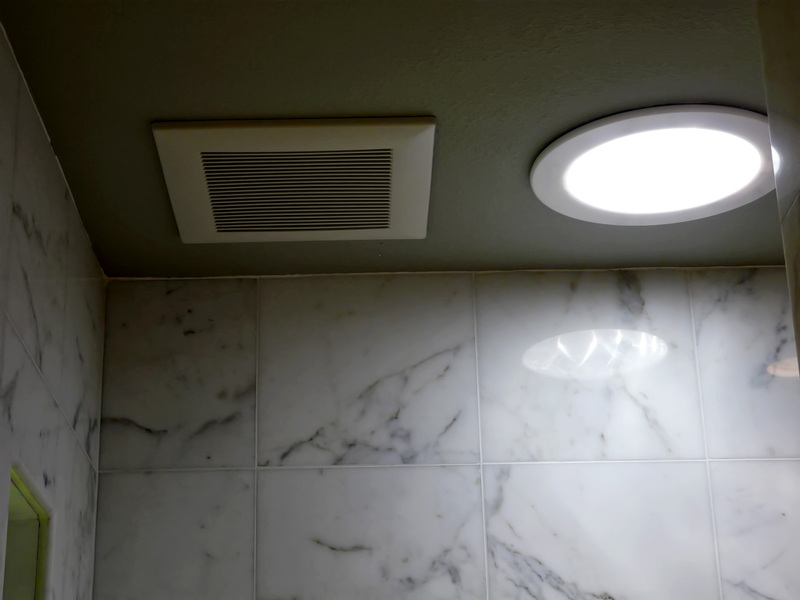 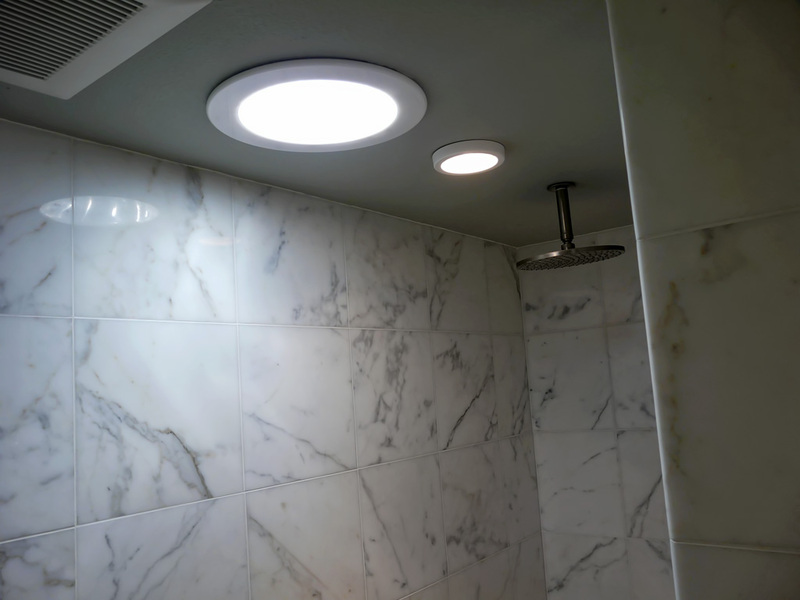 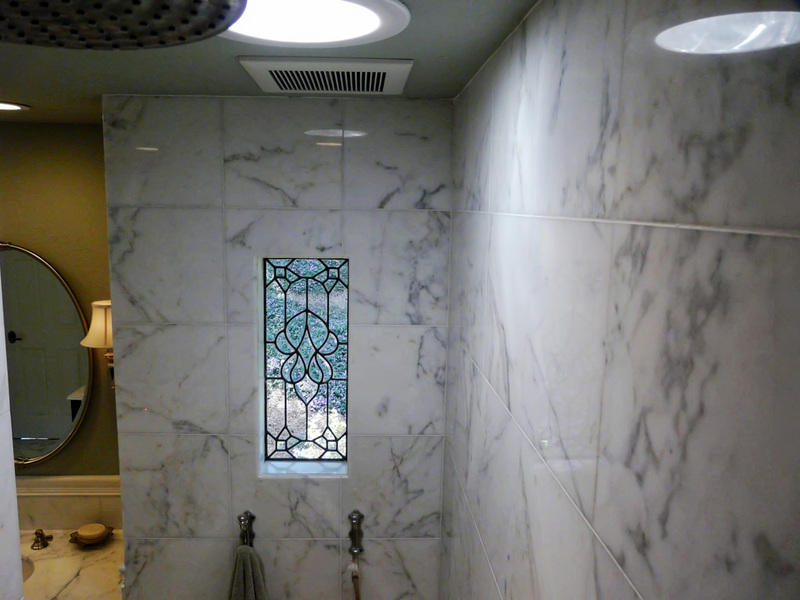 Installed two quiet and powerful exhaust vents, one in shower and one over tub on timer switches to encourage easy usage to keep room moisture level low. 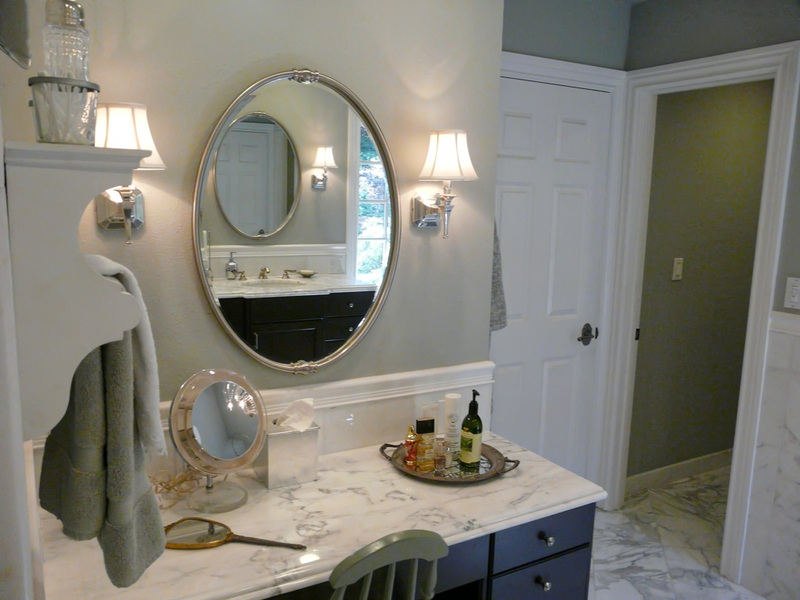 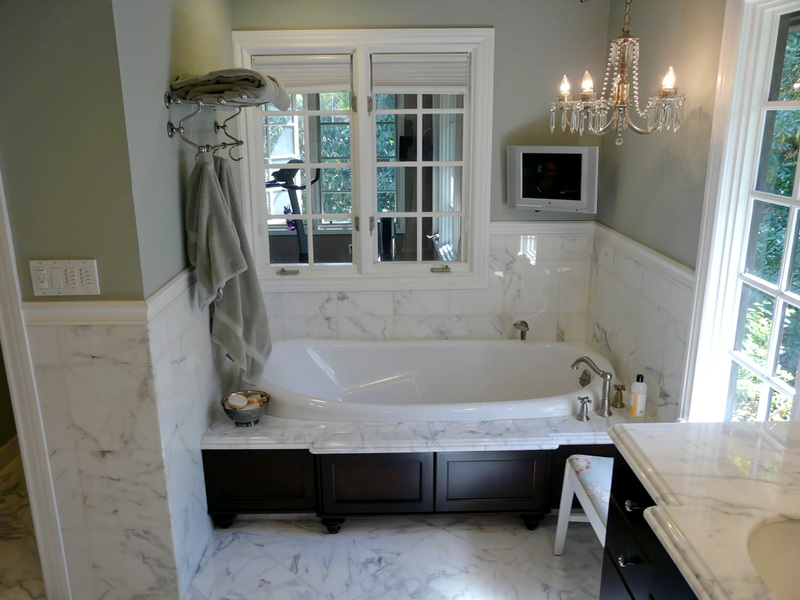 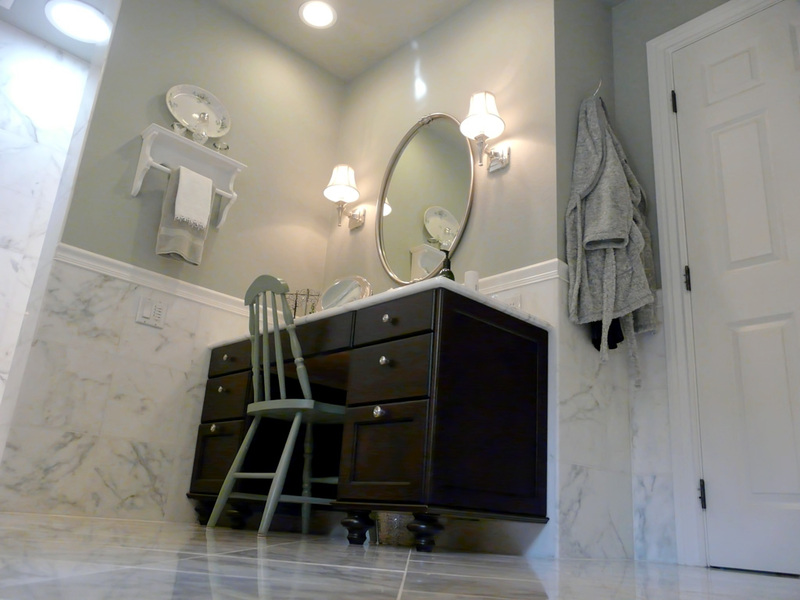 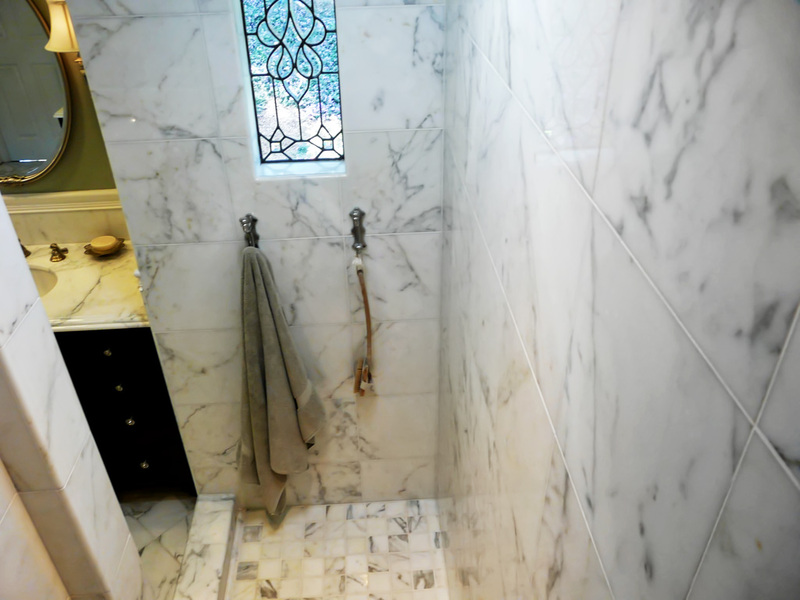 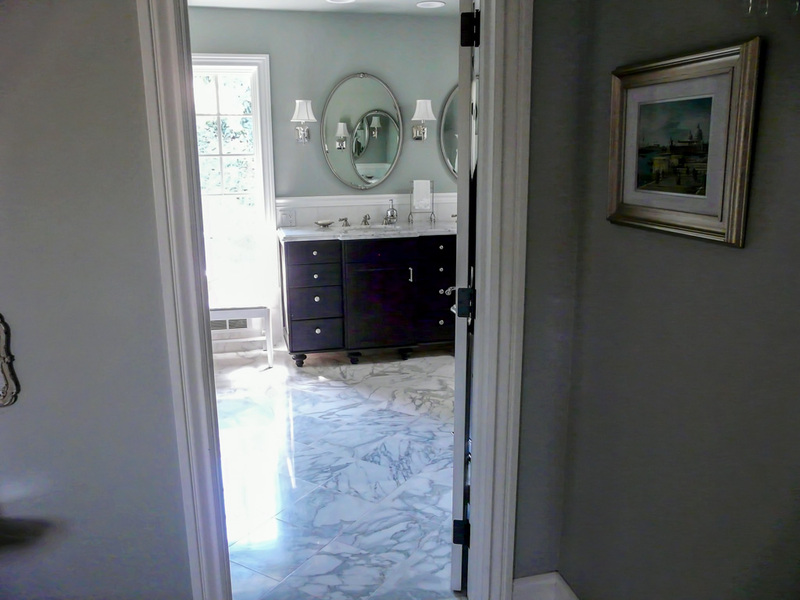 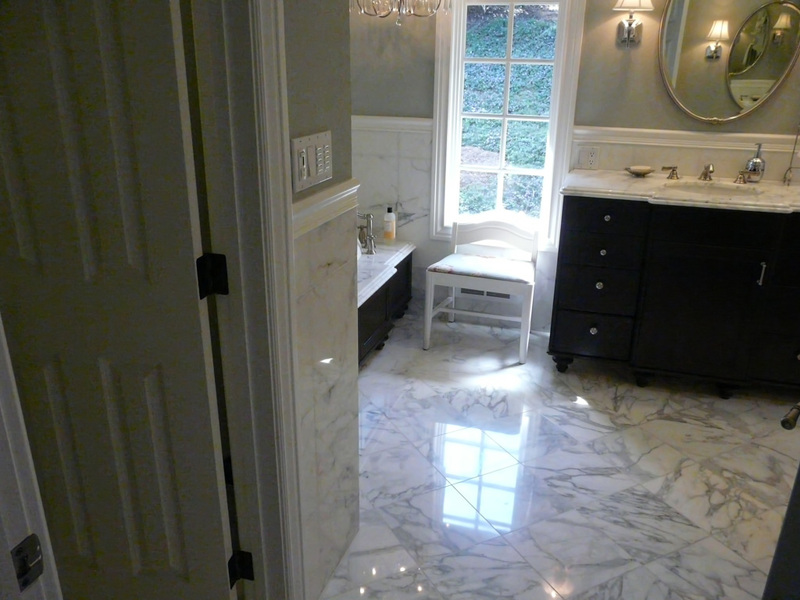 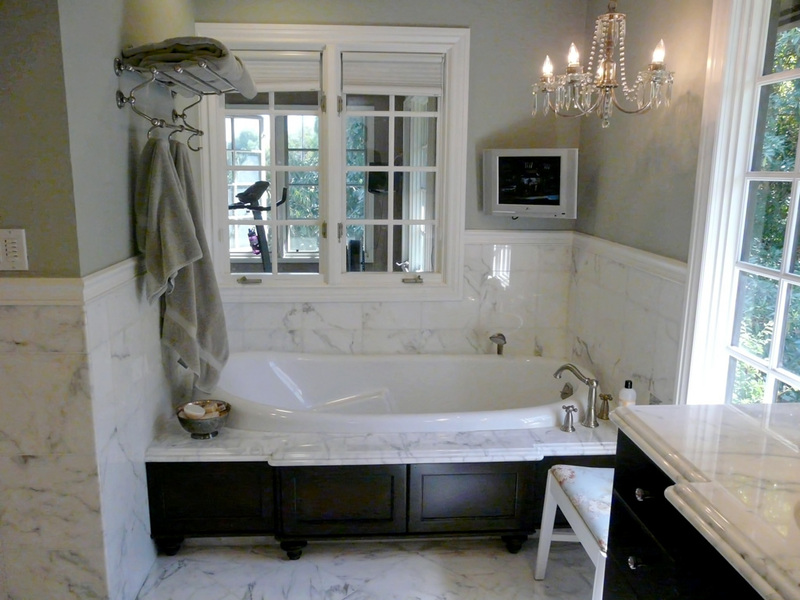 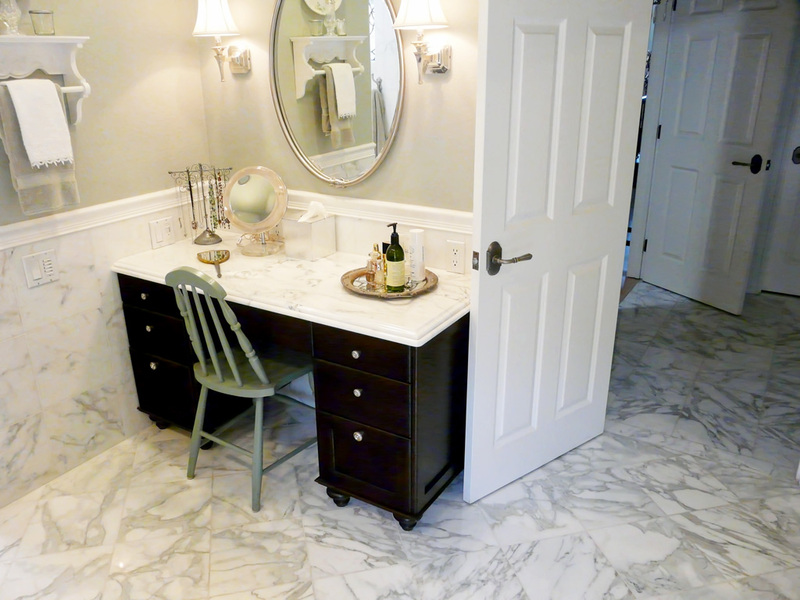 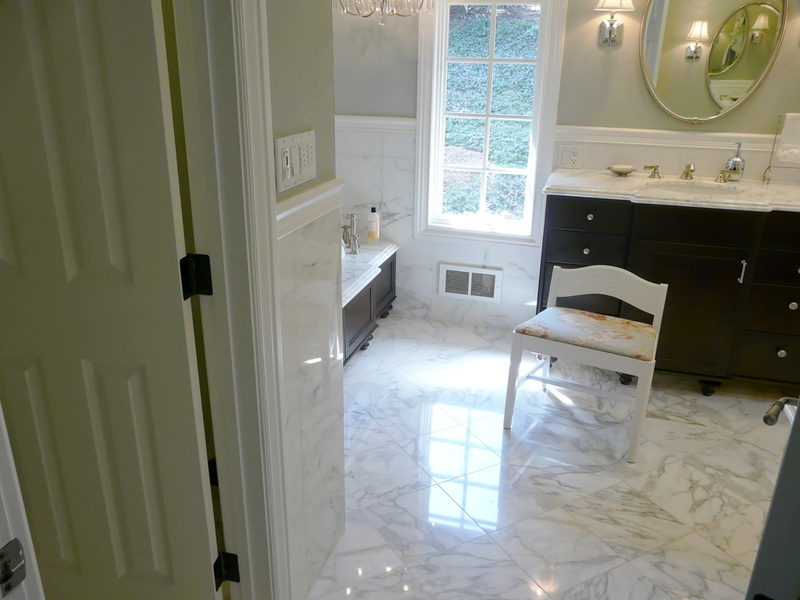 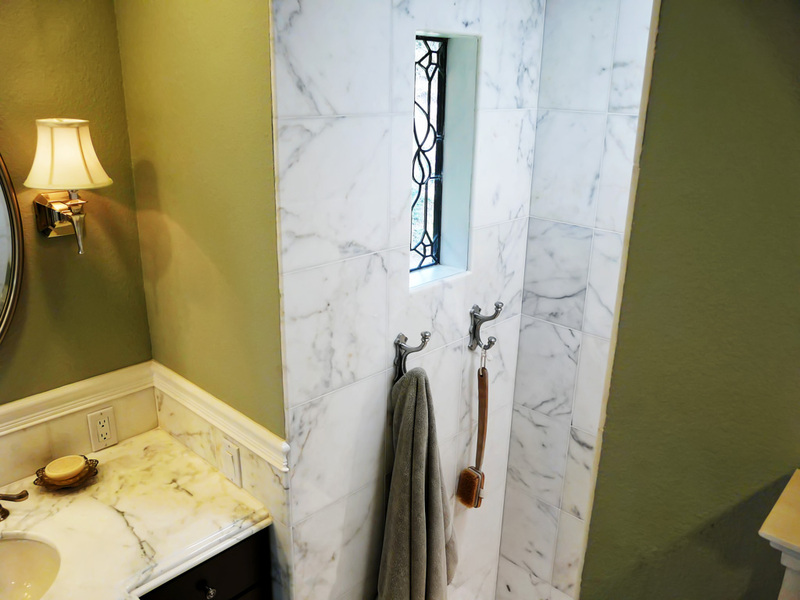 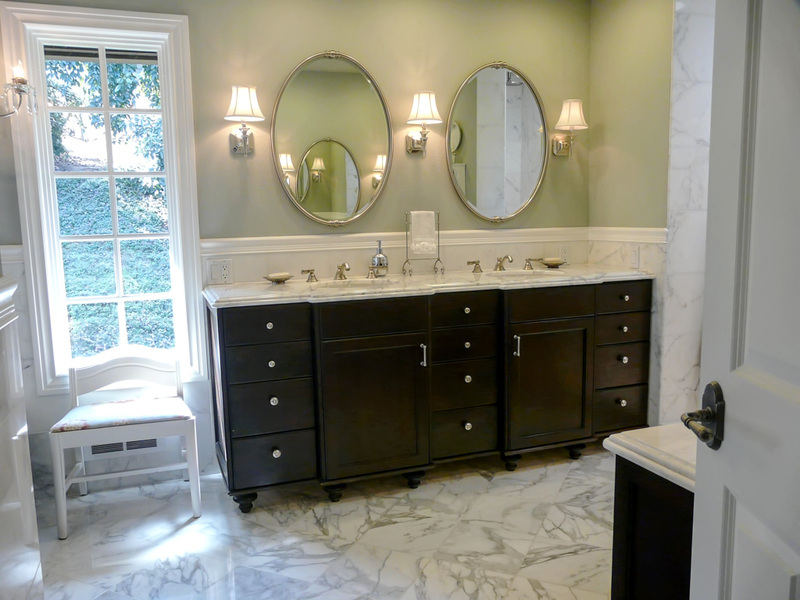 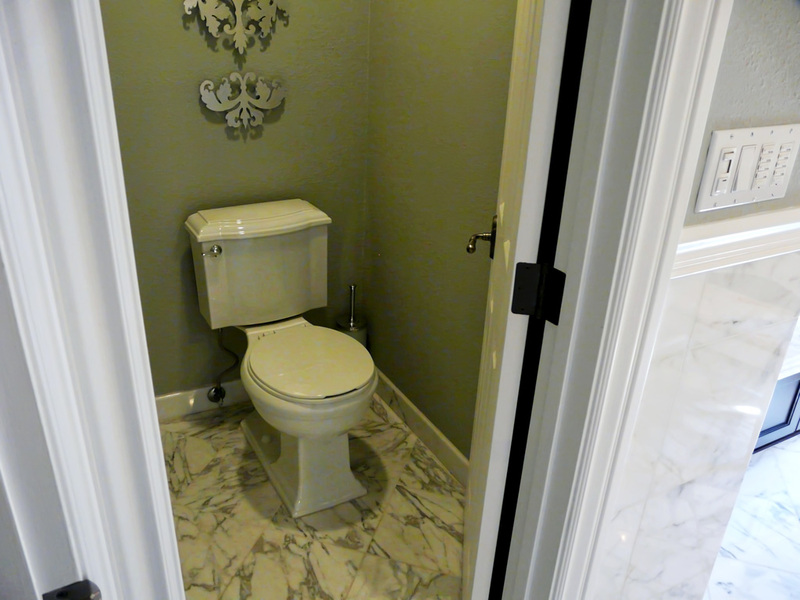 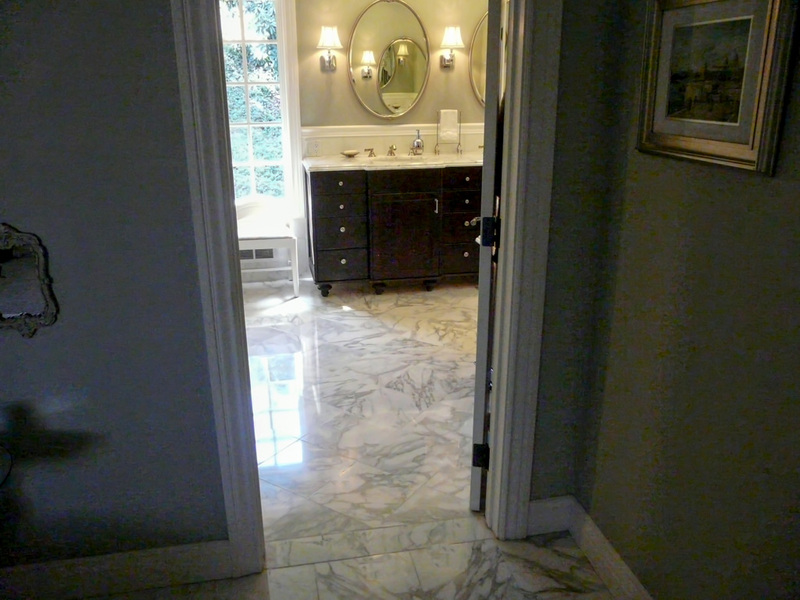 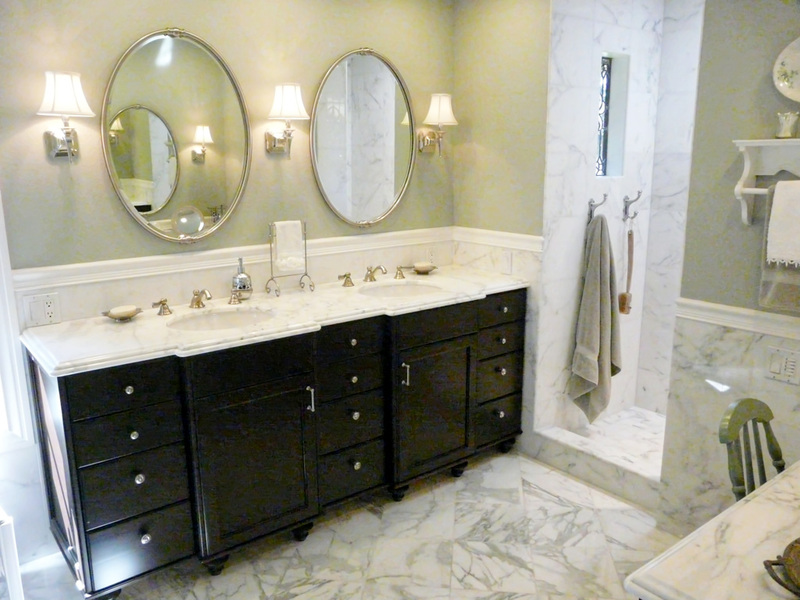 The master bath was enlarged by integrating space form the original bedroom closet area. 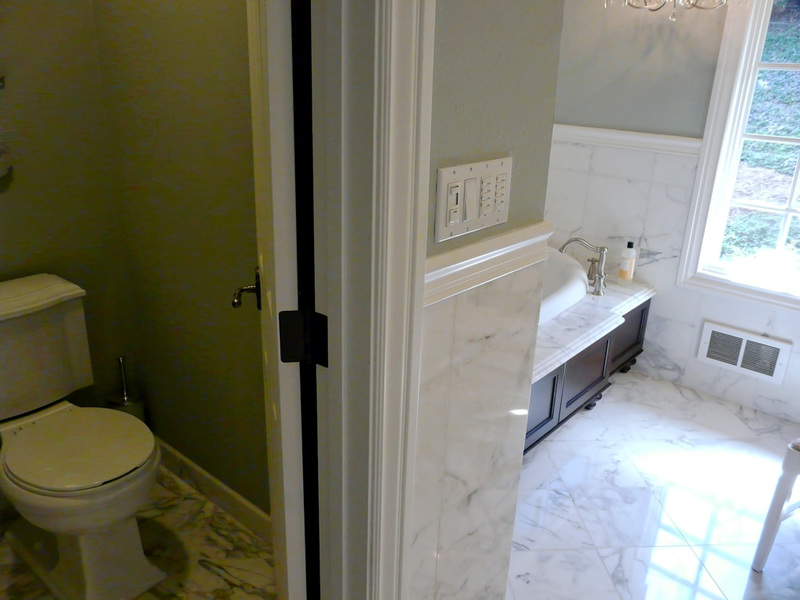 A new larger closet area was added as part of a new room addition. 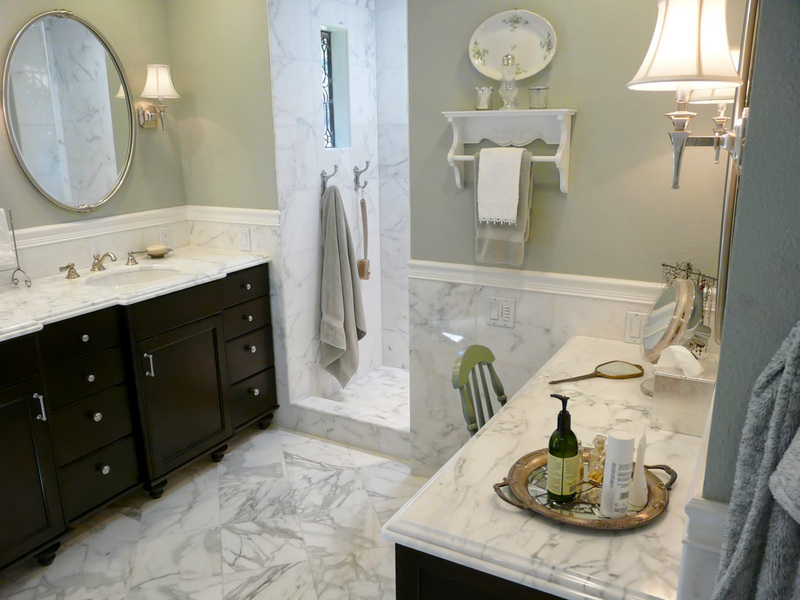 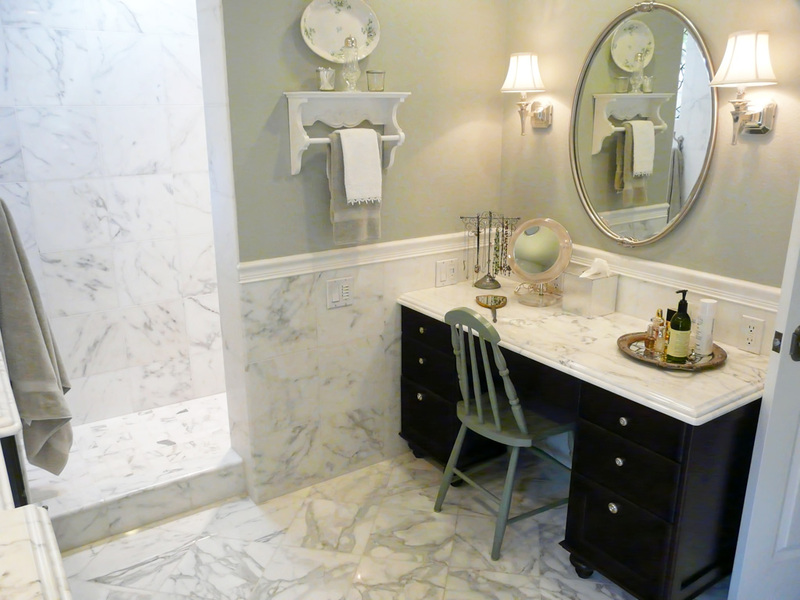 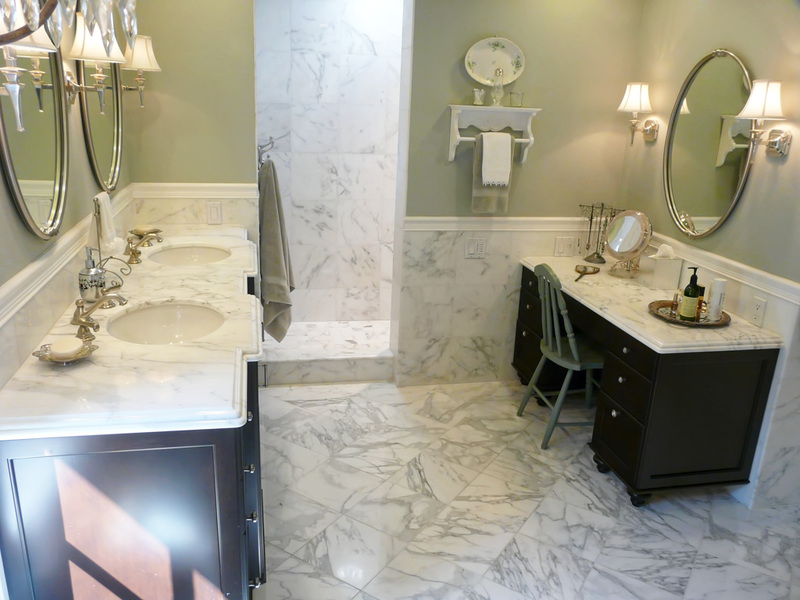 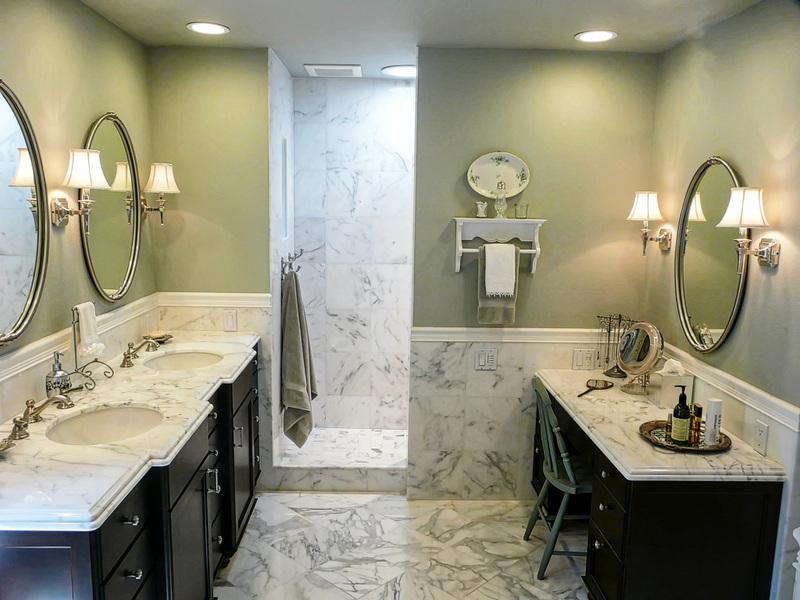 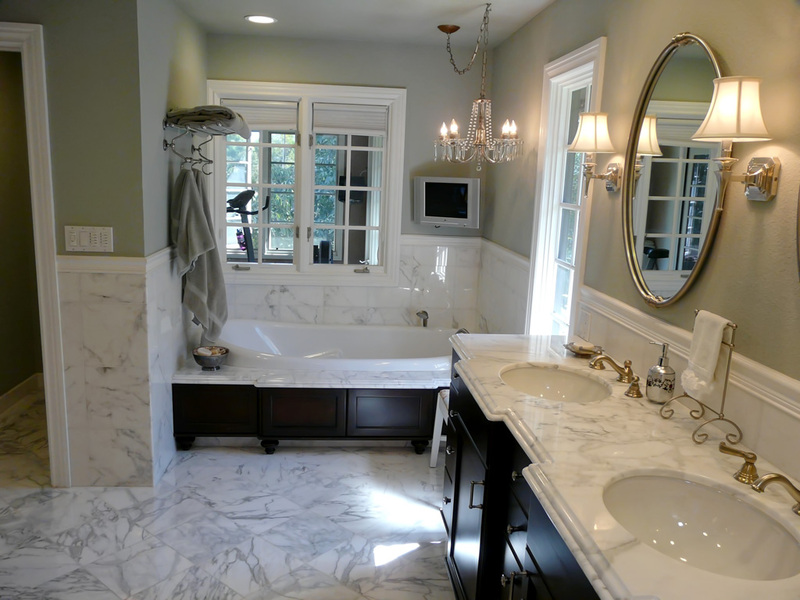 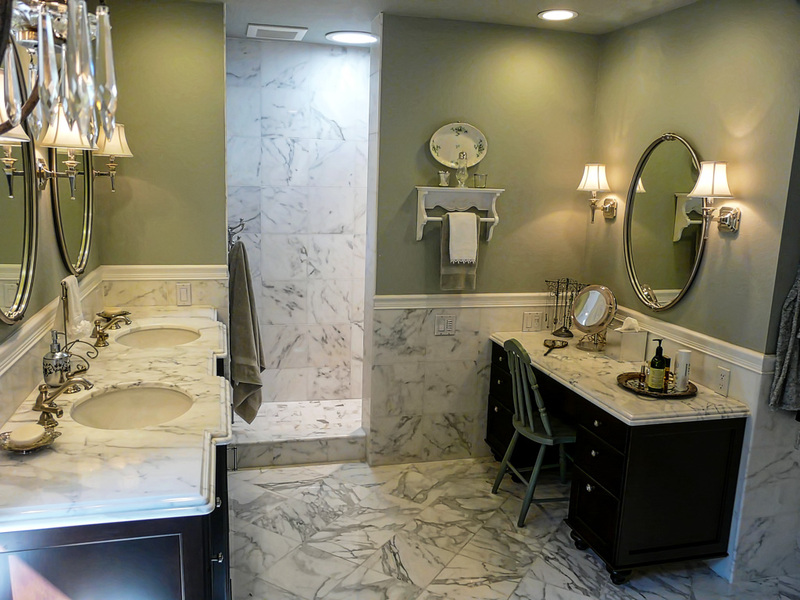 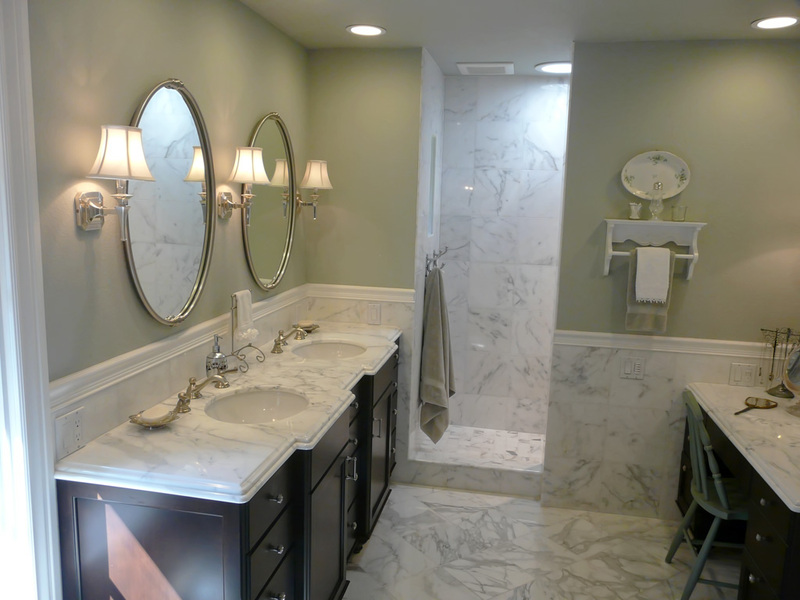 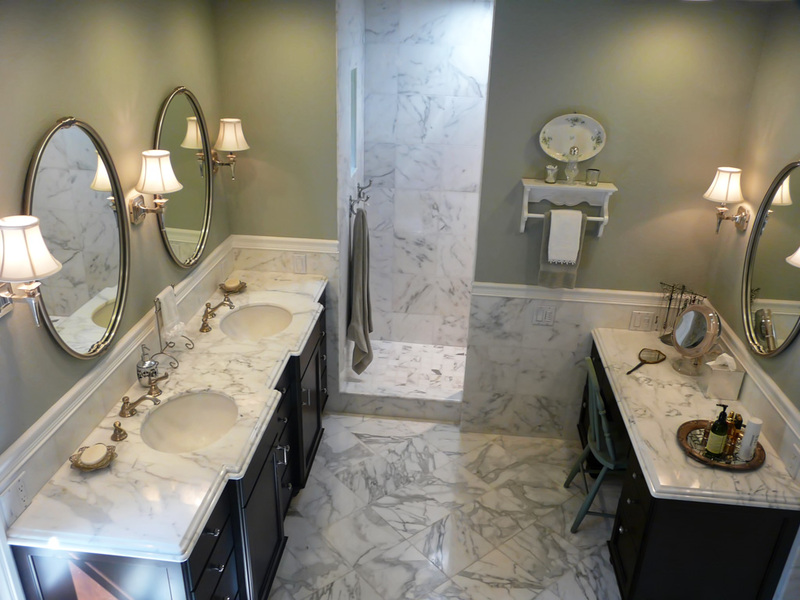 This larger bath area allowed us to create a separate toilet room and making to main part of the bath large enough to have a separate sit down vanity area on the opposite wall of the two sinks. 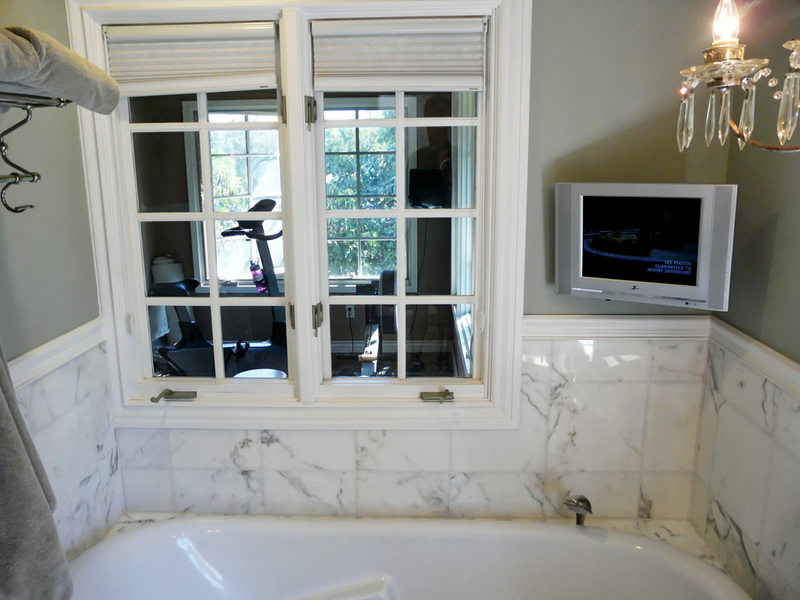 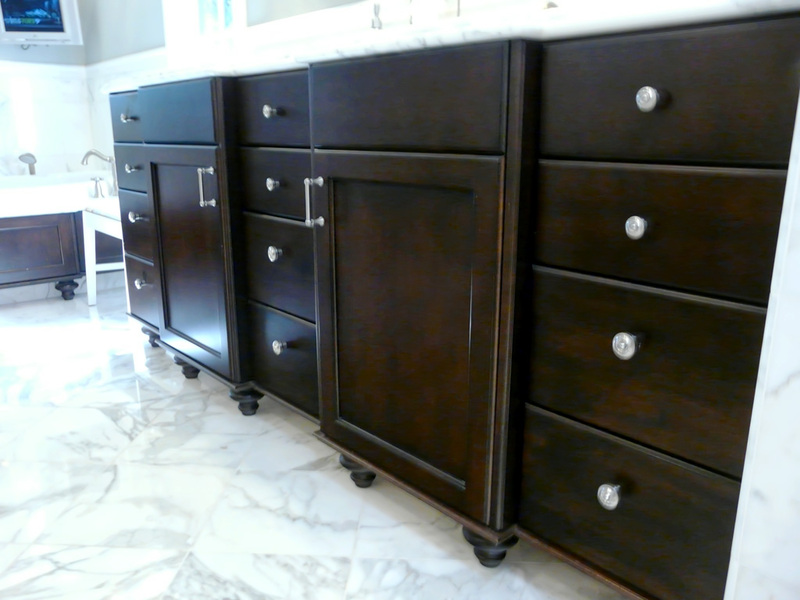 The tub area remained in the same place, but was reconfigured for a new tub with customized front facia or match the furniture like design of the cabinets with bun feet and an LCD TV suspended from the wall. 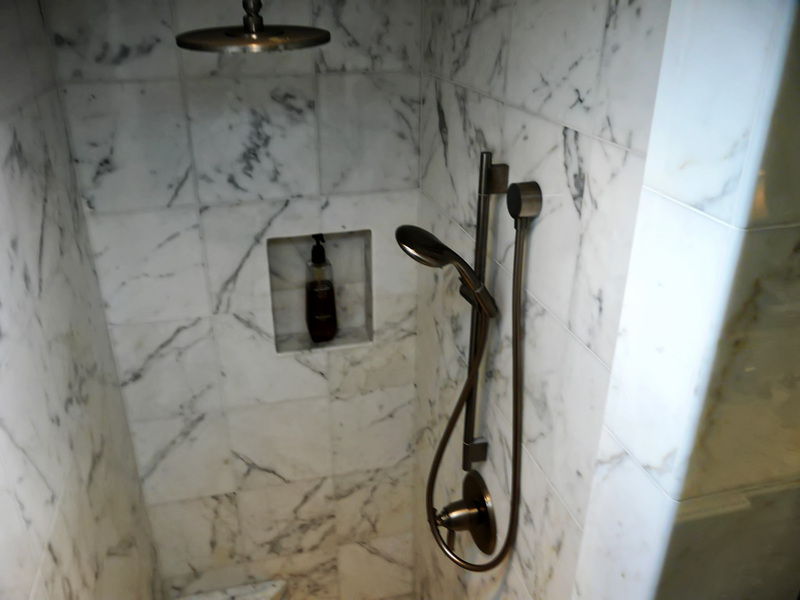 The shower was also moved and enlarged in a way that no shower door was needed. 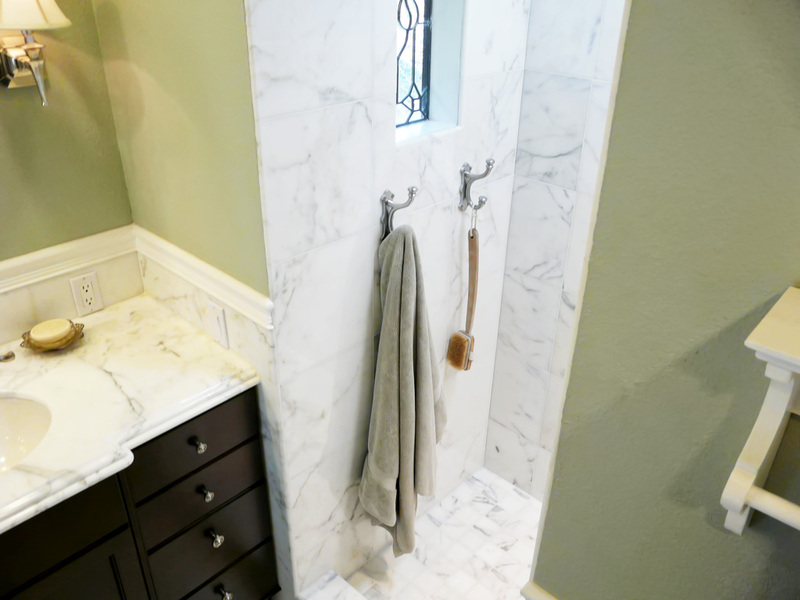 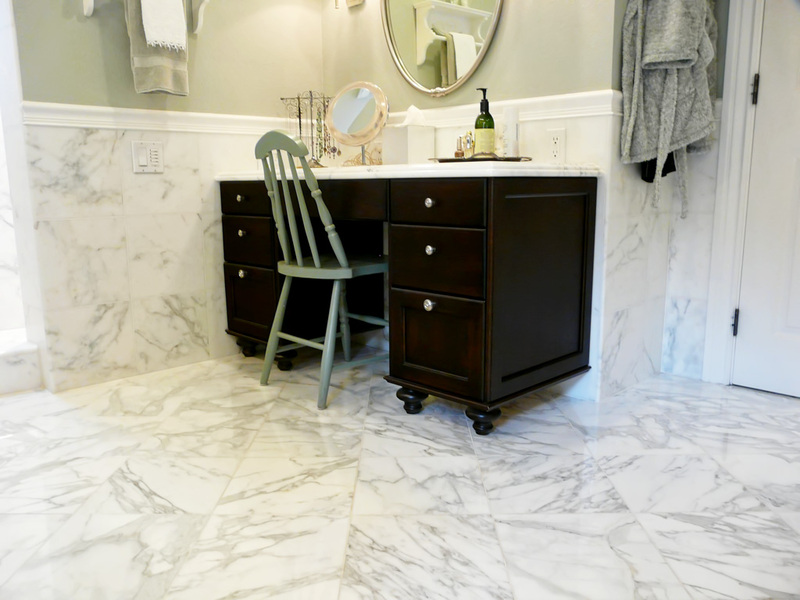 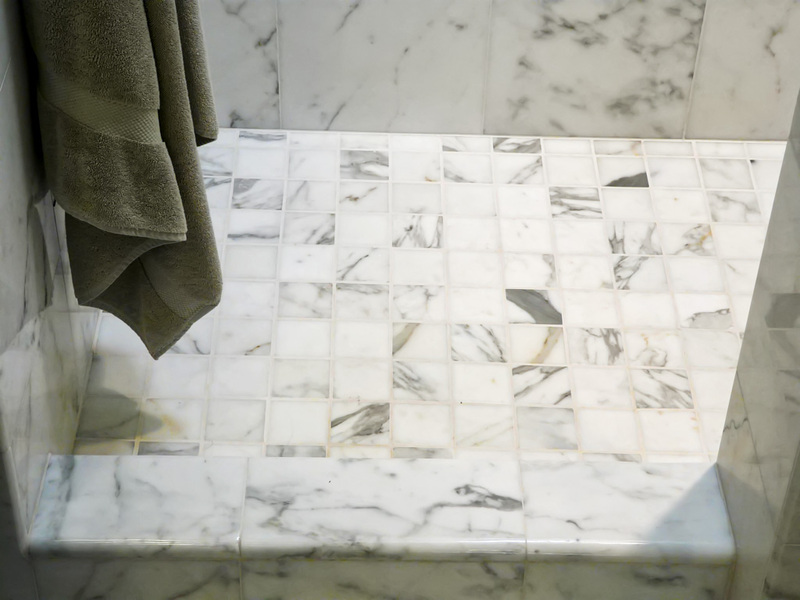 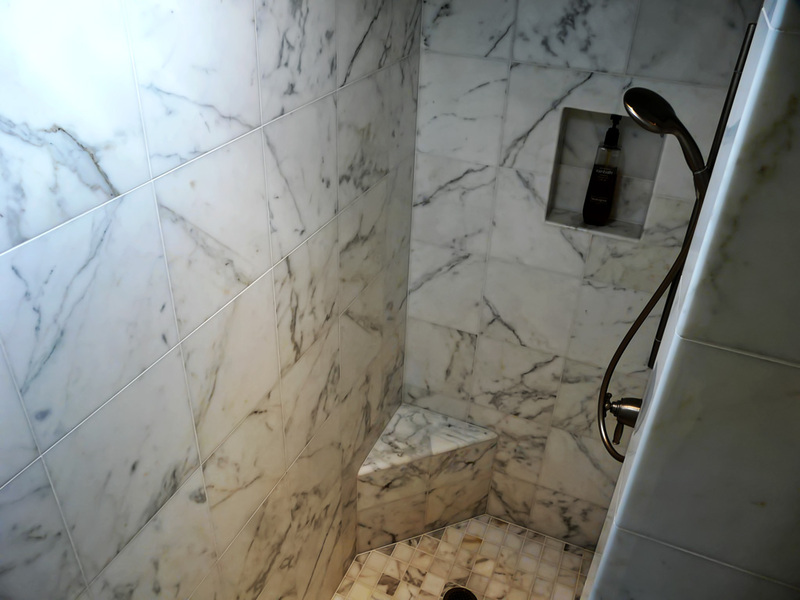 White Carrara Marble tile floors and shower with matching slab counters offer a stunning contrast to the dark espresso stained birch cabinets made as pieces of furniture which attach to the wall and have only bun feet supporting them as they float above the marble floor.